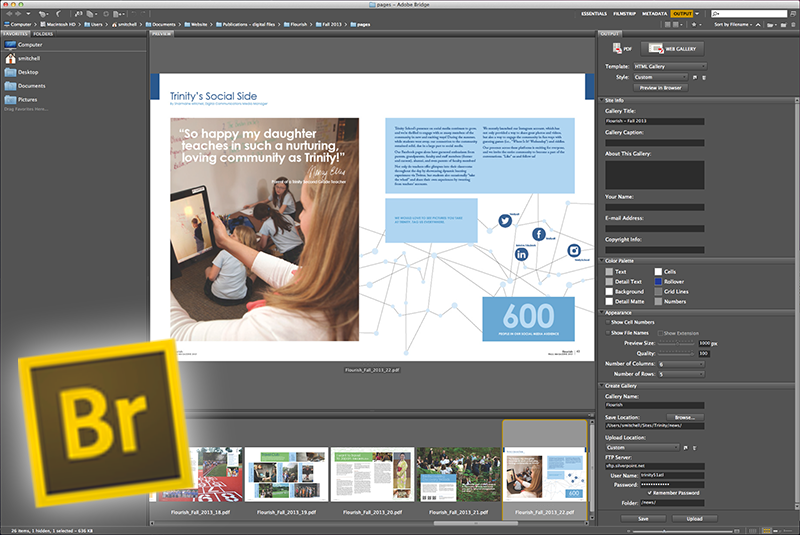 A couple of years ago, I took the initiative to replace the .pdf versions of some of Trinity’s publications with HTML galleries created in Adobe Bridge. With the most recent issue of the magazine, though, the Director of Marketing and Communications made the decision to use Issuu instead, so it’s time to archive and document my work! The process of learning how to create these galleries was quite time-consuming, but I learned a lot. 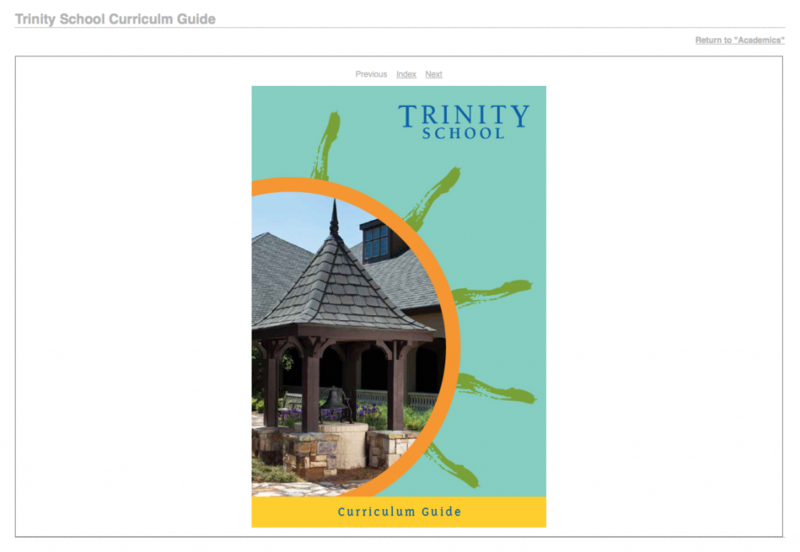 Since I started in this line of work, I’ve known the importance of folder paths and locations, but with Trinity’s website being build in ASP.NET, the location of images is even more important. I learned that the hard way. So re-mapping the image location in all of the HTML files was part of the process each time. Also, in order to make things a little less complicated, I batch renamed the files in Bridge at the beginning. Ensuring that the navigation (Index, Previous, Next, Return to…) worked properly was also part of the process, and required re-mapping in several instances. As an added bonus, with this particular issue of Flourish, the colors were altered when the .pdf was exported and uploaded, so I learned to flatten the transparency in Adobe Acrobat to correct it. I’d never experienced that, so as I previously mentioned, I learned a lot during this process. Overall, I like the result. I like the rollover effect on the Index page (I chose different colors, depending on the publication; the cobalt blue didn’t work with the Curriculum Guide. ), and I like the way the pages displayed across different devices. 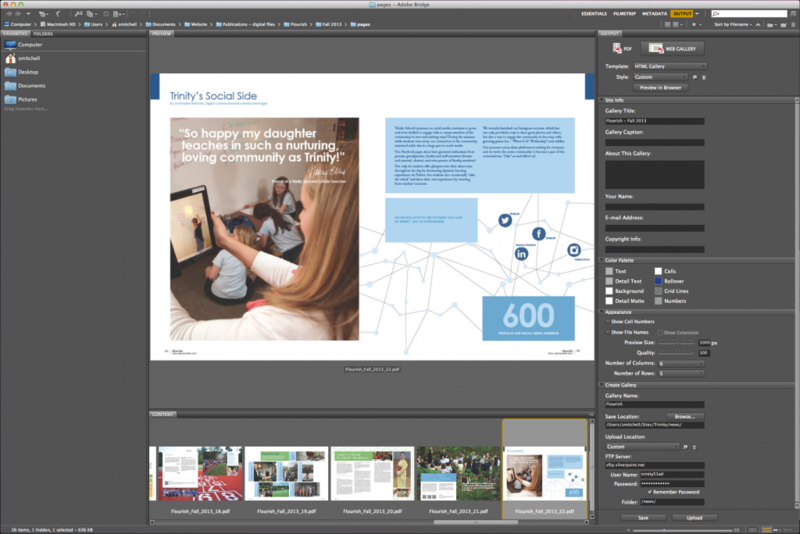 In the future, I would love to see the ability to build galleries using actual .pdf/text documents, in addition to images.